color challenge this week reminded me of an old candy called Necco Wafers. I don't know if those are still in existence but they were pink and gray disks. I used my Artfully Sent Cricut cartridge Z3017 to cut a Mother's Day card. These holidays come up before you know it and I always am late. The cartridge had the cuts for the card, the front decorative piece and the inside decorative piece. The Art Philosophy Cartridge Z1688 was used to cut all the flowers, flat and 3D. I used lots of sparkles in Clear Z1752 and Pink Z1807 and including some older discontinued ones (metallic flowers) and Sparkles Flourishes Z1708. I also made clear dots in the scallops using Liquid Glass Z679. Allow to dry untouched for 25 minutes. Also great for dew drops on flowers! 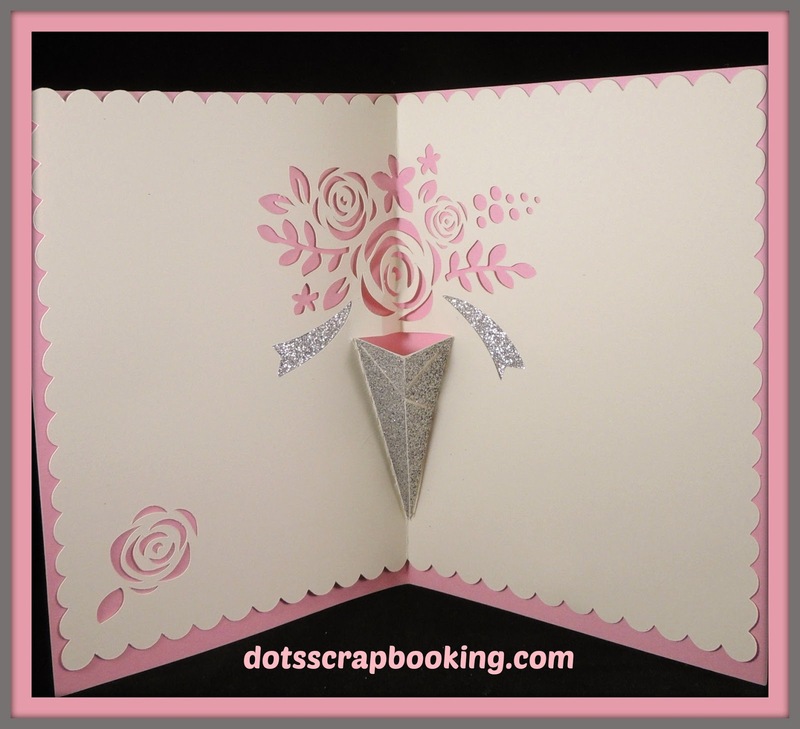 The scalloped piece was backed with the Silver Z1829 cardstock. The flat flowers are 2 pieces each the were lightly sponged in Slate ink. The colonial white 3 D flowers were sponged in Pixie ink. The silver "ribbons" are the Silver Z1829 cardstock glued in place on the back of the decorative insert. The Silver Z1829 cardstock was also cut to fit the triangular piece. 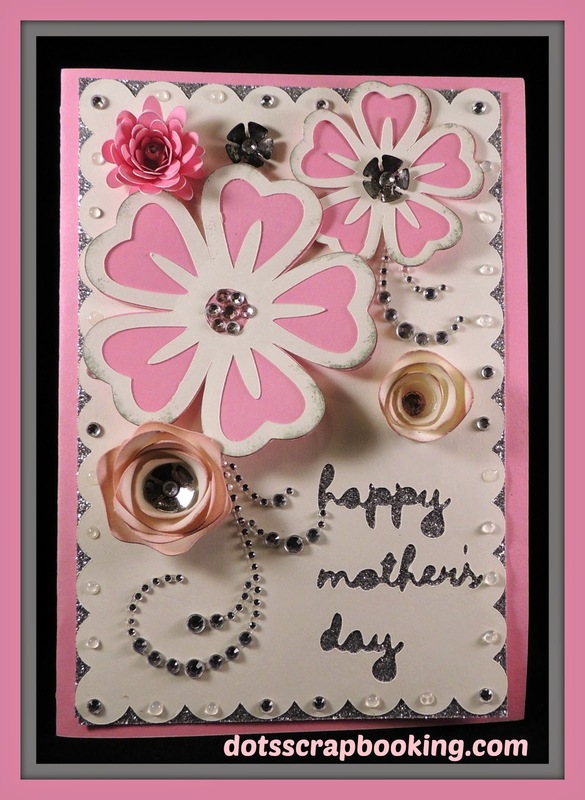 I hope you like this card and consider making one for your Mom. You know how you were always told to make something for your mother, she would really love something made with your own hands, well it's true! Here's to my Mom who is 92 and soon to be 93! I love this woman!! Here's to all of your Moms!! I love your card. Mother's Day and the days leading up to it are some of my hardest days. I lost my mom in October of 2012 to breast cancer. Thanks for your response! I'm so sorry you lost your mom. I feel so fortunate to have had parents for so long. Dad passed 3 years ago at 92. The thought of losing my Mom, who still gives me advice and laughs with me at the mundane things of life, gets me choked up. I don't think you ever stop missing them. 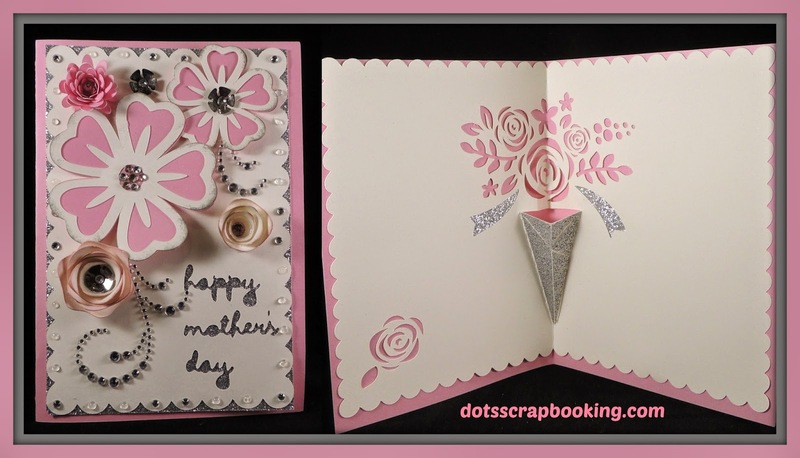 Love your card--inside and out! 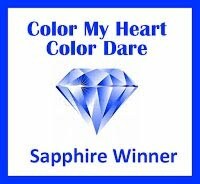 Thanks for sharing it with us at Color My Heart Color Dare. Thank you, Marie!! 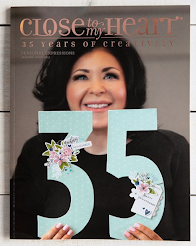 Don't you love our CTMH Cricut cartridges. Can't imagine what the next one will be! Yes, I remember those Necco Wafers, and believe or not it's usually a stocking gift for my kids...who doesn't luv them. Congratulations on being selected the Diamond Winner, your card is beautiful and well deserving...love all the bling and the cutouts...gorgeous. Thank you Sue! 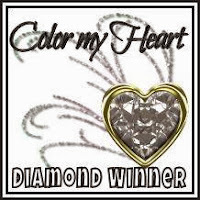 I do love diamonds ;-) I appreciate the ColorDare award. Love that your kids get Necco wafers for a stocking stuffer, perfect!